Susannah writes: For the MBO Blog: I kindly requested an MBO for my Father who doesn’t have long to go. He has stomach cancer and is very elderly, 97 plus. There have been some really difficult things to work through regarding my father and this has affected all of our family from time to time. After requesting an MBO surprise – a miracle -A phone call later that same day from my eldest brother- we finally had a heart to heart. I explained that we all love dad and we all know what a difficult life he has had and how at this time, he just needs to know that we all love him and to make his last days as happy as possible and as healing as possible. Thank You Tom, big Hugs. Next AM she texted, “they moved me to a beautiful, brand new rehab hospital, it smells so good, and it’s so quiet I slept all night!” Wow. MBO delivered in an awesome way, and I am so relieved for her!” On a side note, Polly’s insurance isn’t great, but her room and facility are beautiful, with a patio, lawn furniture and purple pansies outside her window! I met her night nurse today, a bundle of joy! Thrilled for Polly, I am blown away! Ralonne in Ventura County California writes: While the fires in Ventura County were destroying homes and people’s lives, I began BPs to Gaia and all beings to send fog and lower the wind intensity to help firefighters gain control of the fires in order to stop the destruction of people’s homes… I’ve been saying these BPs since Tuesday morning. Yesterday afternoon fog started rolling in and the winds died down enough to allow more helos and fixed wing aircraft to drop more water on the Thomas Fire areas of Ventura County. Gaia came through. Christine writes: First – thank you, again, for introducing us to MBOs and BPs. They make such a difference in my life. I request Most Benevolent Outcomes for every class I teach (I teach adults) and amazing things happen. We have very interesting conversations, people come to understandings, healing occurs. I am not a perfect teacher by any means, but strive to make every class one that offers a chance for wisdom, love, and personal growth, and I believe that MBOs are very important to achieving my mission. I request an MBO for protection from any and all flu viruses or other contagious illnesses that I may encounter so that I may remain healthy and vibrant and I request a BP for my friends and family be protected from the same so that we all thrive in immunity and good health. May the results be better than I expect. Ashana writes: I MBO and BP all the live long day LOL. When I am worried that I haven’t heard my sump pump go on (after 4 inches of rain last Saturday) I said a BP, which I always include that all the Machinery in my house that is so important to its smooth sailing continue to operate, and within minutes I will hear the sump pump go on it pumps for 2 minutes and then it goes off. it’s extremely calming. I recently had foot surgery on the 19th of June and I say Most Benevolent Outcomes pretty much every day for a safe, clean, and quick healing. Stitches out on day 16, yesterday. My Doctor was pretty thrilled with the speedy progress I’ve been making. I also say benevolent prayers and ask for Most Benevolent Outcomes for our global consciousness... that we think to focus on the important things in life, like joy, love, and abundance to be non-specific. I find that I want to soothe all the ruffled feathers that our current political atmosphere is bringing to the surface. I feel like I’m helping a little bit to move this phase on, asking always that the outcome be more than we could hope for or imagine. And that’s just the tip of the iceberg I could go on if you need me to Tom LOL. Thanks again for this incredible tool. Maria in Bulgaria writes: My business trip to Germany finished today. I am flying at 8 p.m. to Bulgaria and I would like to thank you and your friends for the support saying MBOs because everything was ok with family, people, work, health and flights with Wizzair. This is a very helpful saying, a necessary prayer and when we all say MBOs, it works more powerfully. Thank you again, for your work and be blessed! Love & light. I must first caution that I cannot suggest or recommend any medical treatments or non-medical treatments. I am simply listing what is working for one person. Phillipe writes from France: One of my patients Celine has a brain tumor; she was also one of my students 10 years ago. When the Doctor made the diagnosis she was very sad, even crying. She is a yoga teacher, shiatsu and acupuncturist, and helped quite a lot of people to get better. She understood the fact that she created this condition because of her wrong practice of food and way of thinking, as I explained to her. She followed the diet–stop eating her tropical fruit chocolate and almost all animal food products, except fish one or two times a week. Then she got so much better after two weeks, overcame her fear as doctor had said she will die if she doesn’t take the chemo. Also recommended to her 10 minute meditation and belly massage, plus to express gratitude for life, nature, and her two beautiful girls. And more, asking a Most Benevolent Outcome to the universe for healing as quick as possible and more, thank you. After six months she lives more peacefully, accepting her as she is with more loving her body. After her last visit to hospital the doctor said that the tumor as not grown and stayed the same. She decided to refuse all chemistry from the doctor, and just lives happily without being bothered by the tumor. I told her this is a big challenge for you, but because of your practice (intuition) your soul and spirit will grow very fast. Front and back. RJ writes from California: I refuse to drive on the days after 4th of July due to the fear of seeing dead animals on the road. That said, I had to drive to my client’s office in Culver City – roughly a 100 mile round trip – to drop off some work I had finished on the weekend before the 4th and to pick up some new work. Before I left, I requested a Most Benevolent Outcome not to see any dead or alive animals on the drive to and from Culver City… I didn’t see any. MBOs really work! I have requested to never kill another animal while I’m driving. This was several years ago and I’ve avoided a number. I was surprised last week to be notified that I was nominated for the best Self-Help Author award by the Health & Happiness magazine in the UK. Here is the link and it says to vote: http://tinyurl.com/k2ro93n. I’m not too big on awards, but this would help open some doors. Thanks! My interview on Gaiam TV on my book, First Contact: Conversations with an ET has now been posted at http://www.gaiamtv.com/show/open-minds. You can watch the preview, but if you wish to see the whole show you have to sign up for a 10-day free trial where you can see any one of 6,000 programs that are of interest to you. George Noory of Coast to Coast AM also has a weekly program there. I’ve had several nice comments by those who watched the show, including several who want me back for another interview. They will post my second interview this coming Tuesday, when I cover The Gentle Way books. If you have read either THE GENTLE WAY I or II, you’ll love THE GENTLE WAY III: Master Your Life! It’s filled with stories from our readers all over the world having great success in requesting Most Benevolent Outcomes (MBOs) and Benevolent Prayers (BPs). And, if you have not tried this out yet, please do so. It will change your life! You can read a sample chapter on my website at http://tinyurl.com/qdggsfz. I have SIX five-star reviews so far; so if you have read it please place a review on Amazon.com and wherever you bought the book. And for all you Star Wars and Star Trek fans, don’t forget my FIRST CONTACT: Conversations with an ET. This past week my son and I headed for a doctor’s appointment from our house in Plano down the Highway 75 Freeway into Dallas. Our doctor is the only one in this area that also performs acupuncture. This time, the problem was we had blowing snow whipping about. Naturally we left early to allow for extra time, and of course I requested a Most Benevolent Outcome (MBO) for the drive. The first part of the drive was pretty easy, as we were able to use the HOV lane all the way down to where it ended at what is locally called the High 5 Interchange. There it was grid locked and we both decided to go to a sides street running parallel. Big mistake! It was worse as many other people had the same idea. We finally made our way back the Hwy. 75 and now it was at least moving 20 mph or so. We exited at Walnut Hill and took the 180 degree lane to come up on the freeway side road. I found, as I reached the other side that there was a red pickup truck spinning its wheels, not able to go up the small incline. There was a beige sedan blocking the middle lane, not able to move, the right lane was blocked with two cars just sitting there, and a black pickup truck was trying to maneuver around the beige car, but was also spinning. It was frigid cold outside and my son had only worn a medium jacket (he thought he would only need to run inside the doctor’s building), so he couldn’t help. Finally, two Latino men got out of there car, walked up to the red pickup and pushed him enough to get him going, then the beige car who really only went over to the right lane out of the way, and then the black pickup. Well my little SUV had no problem getting up the hill – which I consider a major MBO! We proceeded on to the doctor’s office, and even though we were 20 minutes late (we called to tell them our predicament) they had taken another patient in early and we were both able to have our treatments. Naturally I requested a MBO for the drive home, and we had no problems. Carell in Carmel California writes: Would you kindly re-post your Benevolent Prayer? I would like to share it with my class. I thought I had it saved somewhere but apparently not. Or maybe I do but am experiencing a Mercury Retrograde moment on this one. January 3, I received a notice that the Department of Motor Vehicles says I’m late for paying my vehicle registration, which was due back Dec. 8. That means I should have been notified clear back in late Oct but was not. As a senior on fixed income, I have to plan for things like registrations and insurance bills. So I made an appointment at the DMV and did an MBO before I went that the $80 penalty would be dropped and I could pay for my registration. I also did an MBO that the registration could be paid then and there if need be. Both MBO’s worked. The DMV dropped the late fee only if I paid the registration on the spot, and I was able to do that because my neighbor offered to support me for whatever I needed this month until my annual spring income experience happens. It all worked perfectly. The penalty was dropped and the registration paid. I love MBOs. I’ve taught this to my students, shared the Newsletter, and hopefully expanding your work. Thank you for all you do. I ask any and all beings to assist & comfort anyone that I have ever harmed either physically, mentally, morally, spiritually or emotionally in any past, present or future life. And I ask any and all beings to assist and comfort the families and friends of anyone I have ever harmed, in any way, in any past, present or future life. Thank you. Jackie writes: I just had a very handy MBO. I was on the train and a drunk man was in the same car. He insisted on talking to the few of us in the train. He said he was going to get off at my stop, which made me nervous. Shortly before my stop I requested an MBO for safety. When I got off he stayed on the train. That was a welcome relief! I’ve had my subscribers write to tell me they were suddenly offered cars from family and friends at low prices—and well within their budgets. So give it a try before you make any purchase. You might be surprised or even thrilled! Josette writes from Houston, Texas: It works; it really works in unbelievable ways. Here is a success story to publish in your newsletter if it pleases you to do so. My mother is 94 years old, living in a retirement home. She suffers from a mild Alzheimer condition, forgetting everything from one minute to another but she can sustain a discussion and she does recognize me, sometimes she sounds normal. She is of course dependent on medical personnel for the last 8 years. She was until now paying for an insurance that she took long ago, which rent would be paid when disabled. I kept sending doctors, calling the insurance, proving she was mentally deficient etc., but it was not enough for them. They would refuse paying the rent. Then last month I had an idea I did an MBO on it. Just received a letter from the insurance Co. She is getting the rent. 400Euros a mo. + not having to pay the premium every month so like 450 euros per month. Since I do MBO for my friends and I, I have been much more successful in all directions. I still have one problem that I can’t crack, but I carry on asking. Tom, thanks for the good work you provide to humanity. I’ve been having challenges with sleep apnea and getting proper equipment and resolution for snoring, talking in my sleep (even if it IS in French) and my throat closing off at night. In the MBO back at the end of June, I requested the most benevolent outcome for these issues, in spite of that fact that my MD won’t schedule my sleep study till August 6. Lo and behold 5 days ago, one of my healing arts colleagues sent me info on essential oils, noting that thyme oil, applied to the pads of the big toes at bedtime, treats the respiratory tract, reduces snoring and alleviates symptoms of apnea. Madame Doubting Thomas here thought “fat chance”, but since I had some on hand, I tried it at it WORKS!!!!!!!! I’ve had 4 wonderful nights now, no snoring, and no philosophizing in French, waking up early instead of noon and feeling alive. Apnea gives you morning brain fog, headaches and low energy and puts on the pounds, and now mornings are fine!!!! I’m getting my life back! Yea for MBOs!!!! Johnny writes: I’ve been meaning to write this post for about a week now but hadn’t got round to it…I think a lot of people maybe put off by this whole concept of talking to their GA/guides/guardians. It is strange at first but the more you do it the more natural it becomes. I think it’s of up most importance that you be yourself when doing this. Although your requests should be clear and precise, you should use language that is comfortable to you, and not get bogged down with being so formal. Some of these guys have been with us all our lives; so if we cant speak plainly with them…. who can we? I’ve now gotten in to the habit of speaking to them in the morning; I start by wishing them good morning and telling them about my dream interpretations. I then thank them and tell them how much I love them, and appreciate all they’ve done and continue to do for me. I then move on to my MBO’s and BP’s...I know this may seem a lot but it really can benefit you, for the sake of about 20 minutes this could drastically change your life for the better. It fills you with such a happy feeling once you get used to this, that nothing could remotely spoil your day. I’ve also started combining MBO’s and BP’s with law of attraction.… as you ask for your most benevolent outcome on a certain thing…. picture in your minds eye the result on that you’re asking for, also attach the emotion you will feel when this comes true. This takes some practice but is potentially very powerful. Thanks for reading, and if this helps just one person it will make me extremely happy. Much love. Bob and Joy write: The Most Benevolent Outcome certainly does work. Today Joy and I were driving to the early voting place and I asked for a MBO to get into and out of the voting booth quickly. There was no one in front of us in line. We voted in less than 5 minutes where in the past when we did early voting we had waits of an hour or more. The poll worker said that they were busy all day and we got there in the only slow time. Thank you, thank you, thank you for introducing us to this. Helen in the UK writes: I have been saying MBO’s for a few years now but I had to tell you about this one, as it was so instant. I have a mortal fear of birds and this afternoon a cat got hold of a baby crow in our garden and savaged it quite badly. I shooed the cat away, but then the injured bird was in between the back door and me and I was terrified. I blurted out “I request a MBO for the bird to recover and fly away! !” To my astonishment it instantly came back to life and flew away. I was left open mouthed and laughing with relief. Kate writes: I made an MBO last week for an increase in sales and my general finances. I also asked that things happen to be better than I hoped or expected. First, I was paid $20 more for a job than I expected. Secondly, yesterday, my landlord lowered my rent by $50 just for this month because of an ongoing problem we are having in the condo, something that his business partner refused take care of. Today, I did an MBO that these amounts be at least tripled for events in the coming week. Also, I had done an MBO with intentions on the New Moon that my housemate would feel more comfortable with me, and how we communicate is twice as good this week, as in the last month so far. I had also done one for improvement in relations with the aforementioned landlord, and he was amazing. He turned around 180 degrees in his attitude when speaking with me. It could be that we paid to get a new carpet installed, not him, but, he still was good and that is what counts! Laurie writes: I use MBOs every day of my life. Sometimes the results are quick, sometimes they’re slow, and sometimes they manifest at the speed of OMG. I’m a freelance writer, and today I requested an MBO for “work to come from unexpected sources”. Well, a few hours later that is exactly what I received. I was contacted by a person I did not think was even in a position to send writing work my way. Well, he has been promoted and can now send work in my direction. I am so grateful for MBOs! Laura writes: A rescue chow was going to be sent back to its owners after they surrendered it. It had never had any vet care and had somewhat of a behavioral problem. My friend had a hospice nurse that really loved it and wanted it and was devastated when she found out they wanted to give it back. My friend was over at my house as she found out. So I asked for the MBO and for assistance that this dog was not going back to a home where it would be neglected and possibly put down for its fear of being touched. And lo and behold, our beloved chow is now going somewhere where he will receive the proper love and care to have a healthy and extremely loving life. July 21–2pm—E.P.I.C. VOYAGERS group. Grapevine, Texas. All about the new book! Grapevine Municiple Activities Building. 1175 Municipal Way. $8 at the door. Phone Ken for more information at 817-379-0773. My two THE GENTLE WAY I & II books are on sale this month directly from my publisher. You can purchase them at 35% off the suggested retail price. That’s almost double the discount on Amazon.com. I reviewed my Book II and was surprised at how much new information I added in that book. 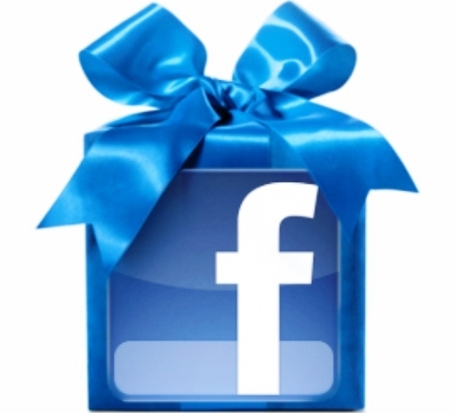 Do you have any birthdays coming up or perhaps you want to buy some Christmas gifts early. You can order on their website at http://www.sedonajo.com or by phone at 800-450-0985. My FIRST CONTACT book is also 25% off compared to Amazon’s 19%. You can read SAMPLE CHAPTERS of the book at http://www.thegentlewaybook.com/chapters.htm including: 1. TABLE OF CONTENTS; 2. INTRODUCTION; and 3. CHAPTER 15—Translation & Force Field Devices. Plus, if you have not purchased my first two books, there are sample chapters of each one available to read there too. CHECK IT OUT! Antonia writes: Our grandson and nephew had birthday parties planned for the same day, an hour apart. It was forecast to be in the low triple digits and rain for the day. That morning, I asked Gaia for good weather for the afternoon parties. The rain held off until the evening and the temperature was only in the low 90s! Thank you, Gaia, and thank you, Tom, for this great tool! Bill writes from Texas: I went to Odessa, TX to move things from my mother’s house with a friend. I requested a MBO for a safe journey back to Dallas and good weather. As we headed east, I looked up in the sky and saw the sky to the north red and dark blue. I pointed this out to the friend who was with me and he thought it was just pollution. I told him it was a “northerner” and it was actually a sandstorm. This is a rare event the end of June and all my years of living in Texas I can’t remember seeing a sandstorm this time of year. As we continued to drive, the wind started blowing quite hard and the truck and trailer was rocking from the wind. We were not in the sandstorm itself. I was relieved since I am highly allergic to the dust and end up getting asthma from them. I looked in the rearview mirror and saw the storm crossing the road about 1/2 mile behind us. We drove with this sandstorm on our back but the truck and trailer no longer were affected by the wind. I could see the sand was beginning to come closer but remained just behind us. It was a very strange experience. I have lived off and on in West Texas and have never been able to skirt around a sandstorm. I know and felt amazed as I watched a MBO in action and how powerful these requests are in our lives. I thought, I have to write Tom and tell him about this and thank him for teaching us how to make our lives better by just asking. Diane writes: I wanted to share a MBO that just happened–when it’s time it’s time!!! I have had 4 Nissan vehicles (they were great) and I leased all of them. I decided I wanted to try something new. In order to do that I had to complete the lease& turn the vehicle in (something I never did before). I made an appointment to turn in the leased Nissan, the salesperson was the manager of the department, he was kind and nice to me, I quickly signed all the papers to turn in the lease within 20 minutes and I did not owe any extra money at all. I was in and out of the dealership within 20 minutes and on top of that they provided me with the appropriate papers, which released me from the lease. I asked to make a call and use their phone to get a ride home and he said, you don’t have to do that, your son (Jeff) is outside waiting for you; I just spoke to him when I went out to check the car! I had told my son I was going to turn in my car and I had no idea how long it would be, and not to worry about it. He is very intuitive and when I walked outside he said he felt I might need a ride so I got in the car and we went to have some coffee and he drove me home!!! So on top of the transaction going so quickly and smoothly and perfectly the extra part was my son helping me out I never asked him to do so!!!!! Thank you for the MBOs Tom they are so helpful. Gautam writes: I was in pain and asked an MBO to be happy. The angels lead me to join a group on being grateful for everything. Thank You. They reminded me to touch, inspire and move everyone I come across including me with a focus on the highest good. They said you want to be happy…then give, share happiness. So Tom T Moore sending all your newsletter readers the gift of happiness. So be it. Tathaastu (So be it in my language). Suzanne writes in the UK: My mother’s dementia was getting worse and we wanted to get her into a good care home over the next few months. So my brothers and I looked around at a few but none seemed quite right. So I requested a MBO for the best local Care home to be found and best bedroom in it to become available without any waiting lists and for the timing to be right. Well hey presto! My brother and I found a great care home with lively and happy residents; we had our eye on a great bedroom with an en suite toilet and an alcove for a small lounge area of its own (although it had another resident in it). The Care home Manager agreed to come and assess mum the following week, at which point she said to me that an identical room to the one we wanted was likely to be free at the end of that week. By the Monday of the following week Mum was in that home and what was even better than the room we first saw, was that this room was on the ground floor straight outside the manager’s office and opposite the bathroom and next to the lounge and dining area so mum has less chance of getting lost in the corridors elsewhere. So we got the perfect care home, perfect room and her condition was spot on for the timing to be right! Thank you to the powers that be!! Judi writes: I’ve been doing MBOs and BPs for three years now. I’ve had so many unbelievable outcomes, I guess, I just take them for granted. But, I felt I should share. Simple things really, but there are big ones, too. The way my hair looks and feels is very important to me. Recently, my hairdresser raised his rates and I had to look elsewhere. I’d being going to him for four years and was very satisfied so it was daunting to find someone else. However, I had Tom Moore and my GA on my side. I said my MBO for finding someone that would be a great hairdresser with reasonable rates. Not only did I get a kindred soul, but someone that was just as good, funny, and spiritual with gifts. Made my day, for sure. I, of course, gave thanks to my GA for all the wonderful blessings given to me through his/her work and those of his/her ‘cohorts’. Ellyn writes: MBO report: I had an amazing result of an MBO last year that I’ve wanted to report. I was on my way to my brother’s house, driving fairly fast (65 mph) in the far left lane of the Washington Beltway, when I heard what sounded like a helicopter about to land on my car! It took me a moment to realize it was the sound of a blown-out tire whacking on the pavement! As I looked at all the traffic in the two lanes between me and the shoulder of the road, I said an abbreviated MBO request, something like: “I need an MBO for this NOW, please!” Fortunately, the car was not wobbling at all, and I was able to steer with no trouble. As I started to change lanes, the traffic miraculously thinned out, and I was easily able to cross the two lanes and come to a stop on the side of the road. Of course, that was just the beginning; I still had to get help with the car. As I called my brother to tell him what happened, I looked in the rear-view mirror and saw a tow truck appear behind me. I hung up the phone and the wonderful gentleman in the tow truck secured my car and drove me to a service station near my home. He truly was my knight in shining armor, appearing out of nowhere to rescue me, and I told him so, much to his delight! My guardian angels came through in a miraculous way for me (as they always do)! I didn’t even have to sit on the side of the road for 5 minutes waiting for help… it simply arrived the moment I needed it! As you say, Tom, our guardian angels are happy to help us at all times, in miraculous ways. The challenge is to remember to ASK! Much love and laughter. Cindy in California writes: Here’s kind of a different MBO. My husband was going away for the weekend to coach a high school baseball tournament. They just hired a new coach who was going along, too. So I thought I would be nice and ask his wife and daughter if they wanted to come over to spend some time in the pool. Well, after I asked and they accepted, I sort of wanted to just have a nice relaxing weekend alone. I actually requested a MBO that they would either have other plans or some reason for them not to come over. About 45 minutes before we were to connect by phone she called to say her daughter wasn’t really feeling well. So now I get my alone-time weekend! Funny how all we have to do is ask! July 21–2pm—E.P.I.C. VOYAGERS group. Grapevine, Texas. All about the new book! Sherry-Ann writes: Thank you so much for MBO’s and BP’s! I am so grateful to you for bringing that awareness to all of us. I am so grateful to my friend Lorraine Benham for introducing me to your weekly newsletter. In gratitude, I want to share a BP story with you. The beginning of this week was very rough. My boss’ company was running short on funds. Payroll was due this week. We put a great amount of financial outlay to get product that we then have to install before we get paid (my boss’s company does IT consulting, cloud computing, computer repair: an IT Dept for small businesses who can’t afford to have their own IT department and the overhead costs involved.) IT equipment (especially things like computer servers, switches, etc.) is very expensive. I am his office assistant. A part of my responsibility is to make sure that the customers are billed, and to make sure we get the monies due us, to include collections. There were a few big tickets that hadn’t been cleared. One company, I had to refuse service because they did not hold up their end of the deal by getting their check to us when they said they would. I was becoming so exasperated, and then fearful that if we didn’t get some monies in ASAP, that my boss would not be able to make payroll and then eventually we’d be laid off. So for 3 mornings this week, on my drive into work, I said Benevolent Prayers for my boss, his company, and my fellow coworker. There are only 3 of us in the company. I also said a Benevolent Prayer that the company would see funds owed come in as soon as possible. Long story short, money DID come in. Yesterday, we had a whole bunch of checks in the mail, including the check of the company that I had to refuse service to. Please understand, that with that company we tried to work as hard as we could with them to make things right. It was a delay in the check getting to us, but we also did our due diligence beforehand so I felt that my hands were tied. We also received some credit card payments too. In total, we received over $11,000 in receipts, the largest take that I have seen for one day in the two months that I have been with this company! I thought my boss was going to cry. It was like as I was saying those BP’s, the checks were either being processed or in the mail. So amazing! I have also had success with Most Benevolent Outcomes as well, but that is for another time. Again, please accept my sincere thanks and gratitude for this awesome modality. I will continue to keep doing MBO’s and BP’s. And I MUST share this story with my friend. As a matter of fact, I’m going to include her on this e-mail, as she deserves credit for introducing me to you. I LOVE my healer sistah, Lorraine ! Donna writes: A wonderful MBO story for you! I had lost contact with my sister about 5 years ago when she moved and didn’t give me new contact information. I always assumed that there were some unresolved issues but I never really knew what was going on with her. I have thought of her often, and this morning I sent her a Benevolent Prayer and it’s kind of a blur, but I’m pretty sure that I sent an MBO to have contact with her. Within the next hour, I got a call from my niece, who told me my sister wanted to talk to me!! We had a nice talk and I never asked her why she broke contact. I was just so thrilled that we can be real sisters again! Apparently, my niece had been searching for me for months, and all of this time it never occurred to me that they had lost my phone number and address. It looks like our BP’s and MBO’s are getting even stronger as we get closer to the 5th focus. I thank my guardian angels and I can never thank you enough, Tom, for giving us these precious tools that I use every single day in so many ways. Vicki writes: My husband Jon and I have been using MBO’s for a long time now with good results. We have been big fans of you and Theo, attending a few of your local talks in the DFW area. You have even included some of our MBOS accounts in your second book. MBO’s have helped us both through life especially navigating Jon’s eight-year struggle with thyroid cancer. We both have felt much more spiritual and aligned with our soul paths since using MBO’s. It was Jon’s path to die from thyroid cancer at age 58, the same age his mother was taken by cancer. He passed away on January 28 after a particularly brutal year of suffering with persistent thyroid cancer which eventually suffocated him, caused him to lose his voice in August along with his sense of taste, appetite, mobility and most of his body weight. I was his sole caregiver. In the days before he died, we had frequent visits from foxes, raccoons, and one day coyotes and we thought they were paying respects in some way. In the end, all who saw Jon had to say his passing was a blessing due to his emaciated condition and the horrible pain he suffered. Robin writes: I was listening to the guys working on my heating system in the basement. At one point they said, I don’t think there’s anything more we can do. I asked for a MBO in that moment, and then I heard them trying something else. They found a part that was clogged–the part where the water flows through for the FHW heating. They took off for Lowes and were able to find a replacement. They bled the old radiators in my 1910 house and the heat was back up and running. There appears to be an inspiring thought that was downloaded in that moment when they were ready to give up. MBO’s always work for me. Sandy writes from Costa Rica: I have written before but today was truly amazing, so I had to write again to say thanks so much. I have read your books and am really working hard on requesting MBO’s for all I do. This afternoon I went to the airport to pick up a friend, who was returning to Costa Rica from the states, as she was bringing a few things for me. She landed at 1:30 and I realized that it would likely put me in some bad traffic, as she lives across the valley from me. Arrivals were heavy and it took about an hour for her to come out of the airport. We then drove to her house and talked for a while. I got in my car to drive across town at 3:40 pm. Typically with no traffic, I can make it in about 35 minutes, but during rush hour it can take up to 2 hours. Rush hour usually begins about 3:30 and continues until 6:30. Traffic is really heavy in the Central Valley of Costa Rica. I asked for a Most Benevolent Outcome even better than I could hope to expect and I did indeed receive just that. I arrived home in about 37 minutes. After 3 pm, it is usually quite insane. Today, the traffic parted for me and arrived home feeling a cross between tears and laughter. I am so grateful for the assistance I received from my guardian angel today and always. Thank you so much for your gentle guidance and examples. Your words have changed my life. Rick writes: Some MBOs for you. I recently went to San Francisco to shoot a trailer/teaser video for a screenplay that I have written. I used many of the MBOs suggested on the Gentle Way website, which were quite effective. Our shoot was scheduled for Monday morning in Stockton, CA. Before driving out the day before to do some final scouting, the producer showed me some sites. While we’re sightseeing, he gets a call; our director of photography gets arrested for a probation violation. The producer scrambles on the phone between that point and the trip to Stockton. While we’re walking around the outside of AT&T Park, he’s on the phone trying to figure out what needs to be done. I’m saying MBO’s for a suitable director of photography for our shoot on Monday. On the highway towards Stockton, an hour or so later, we’re notified that the original D.P. was released from jail, and he arrived Monday morning, ready to shoot, which we did, and everything was nearly perfect. THE GENTLE WAY books make GREAT CHRISTMAS PRESENTS! Go to my website http://www.thegentlewaybook.com and click on the images of the books. Lee writes: Tom, just finished reading your blog and all the MBO’s and thought I should finally send this one in. About four months ago I requested an MBO for better gas mileage for my car. Since I bought it seven years ago the mileage has only been between 16 and 17 mpg, much lower than the suggested 22 mpg. Well, for the last four months I have been getting between 21.4 mpg and 22.2 mpg depending on where and how far I drive! With the price of gasoline I think that is a considerable savings as my commute is 56 miles round trip! Dan writes from Canada: Another MBO for you: Last weekend I was working on a university application essay. Previously I had bought a book that had samples of successful application essays, so I planned to use the book to see how the essays were written and perhaps to get some ideas when writing mine. So that Saturday morning I had my coffee handy, and everything set-up to start my essay writing. Before I began, I asked for a MBO that the essay writing would go better for me than I could hope for or expect and that I would be inspired to write the best essay possible. With that said, I picked up the book (which I had not looked at previously) and just randomly opened the book to a story. The story itself was interesting enough but even more startling was the author, who had the same last name as mine! My last name is not a common one by any stretch, so it absolutely stopped me in my tracks when I saw it. Once I read the essay, it actually gave me a nugget of an idea for my own essay, which I promptly wrote and finished in less than a half an hour. Thanks to my GA for the prompt to buy the book and to find that exact story on my first opening of that book! Now I’ll be sending up a MBO for my university application to be accepted! Carol writes: Here is an MBO for you with I think a little different slant. I felt like having dinner at a well-known fish restaurant by the beach in Newport. There is only street parking there and it is difficult to park; usually I go there for lunch, but dinner is usually busier than lunch. So I asked my GA Anthony a MBO for an easy drive (it was rush hour) and a good parking space. The drive there was unusually smooth for rush hour, but when I arrived at the restaurant there wasn’t any close parking anywhere. So I drove around the block and on the second pass, I saw a car leaving right in front of the restaurant. I waited a bit behind the exiting car so they could leave, and much to my surprise the car ahead of the exiting car 2 spaces up put his car in reverse and backed up right in front of my car so there was no way I could get in the place. Then he got out of his car and said, “Sorry lady I am taking this place.” I told him if it was that important to him, just go ahead. So I circled the block again, on my second pass the man got out of his car and said his family was now loaded in the car and ready to leave, but he would wait for me to go around the block again and save the space for me and thanked me for my courtesy–what a shock! And as promised on the 3rd time around the block he pulled out as soon as he knew it was me and I got that coveted space in front of the restaurant. Sometimes you just have to be a little patient and allow your GA to deliver! Arthur writes: Thank you for all you do for us; your writings have changed my life for the better. I ask for and receive MBO’s every day, I fly to London two or three times a year, and my last return trip was the best ever. I asked for a smooth safe trip, and may it be better than I could hope for, and be for the good of all concerned, and so it was. My bag at London Heathrow was over weight but was allowed to go through without paying extra; JFK passport control was packed, yet I got through within half an hour, I walked to the carousel as my bag was right there, got a cab in two minutes and home thirty-five minutes later. I am truly blessed. Thanks again Tom. Muriel writes: I followed your advice and I started first to ask for MBO’s on few basic things: I needed to find the perfect handbag for me and some vitamins at a good price the same evening. I tried before and could not, but I found both that evening! This was just a marvelous confirmation. But yesterday: I went with a girlfriend to pick up her new used car from the dealership. She was giving back her old Jaguar for a less mileage one and was so excited about it. I asked for a MBO for her, asking my guardian angel out loud to contact hers to make sure she get the most benevolent outcome of the deal. The car just came back from the Jaguar place the same day where they were supposed to check everything. The dealership was far away from Miami where we live, and once we had the new car to drive back home we decided to take the easy road by the sea; it was night and the highway did seem a good choice at the time. So we left the place to go back home, my girlfriend was super excited. It is night time already, we got first on A1A—a large street–and suddenly the navigator started to blink. We are in front of a traffic light in the center lane, the light turns green, the cars cross the street, our car dies on us!!! Problem with the electrical! At this precise moment a police car is right behind us!!! They helped us to avoid a collision, to get the car she just bought towed and she will get her car repaired from Jaguar today. But can you imagine if we would have taken the highway and the car would have died while we were driving fast, we could have created an accident, and even death!!! I know our guardian angels were there when I saw the police car right behind us and again I had goose bumps all over and I thanks, thanks to be alive and healthy for the both of us today. If you are new to requesting Most Benevolent Outcomes (MBO’s) and asking for Benevolent Prayers (BP’s) for other people, you may also wish to SIGN UP FOR MY WEEKLY BLOG, which has nothing but GREAT MBO stories from all over the world like those you read above. I typically post this one day after the newsletter goes out. And have you requested that I be your FRIEND ON FACEBOOK yet? Please do so. I do give extra information there. I also post on TWITTER. For those of you in the Dallas-Ft. Worth Metroplex, I will be doing a four-hour workshop at the McKinney Performing Arts Center (old courthouse on the square) on August 26. For more information telephone Janet Landers at 214-218-7360 or email at janetllanders@yahoo.com. Marie in California writes: I have an MBO for you. Today my daughter was followed by a suspicious van, full of men. She was heading towards downtown, by foot. The van that was following her was getting close, and she walked faster. She said an MBO, ” Guardian Angel, I request a MBO, that you keep me safe from the people who are following me, better than I expected and hope for, Thank You!” So right in that moment, people came out of their house and went outside; and the van made a turn and disappeared! Wow! Her Angels kept her safe and sound. They spared her life. Thank You, Angels! When I first began reading the newsletters/article sections, I was skeptical. But I do believe in a higher spiritual form, so, I thought to myself, why not try the MBOs. In the beginning, I don’t think I was requesting for MBO’s correctly because I was getting them confused with Living Prayers. (I have a tendency not to read things in order, therefore not following your instructions correctly!) But at the time, I was still feeling as if things were improving for the people I was requesting for MBO’s. (Now I know you ask for Living Prayers for others). Then I started to read the newsletters in order and found out one needs to request MBOs for themselves and that the simple ones should happen instantly. One late afternoon I was in a parking lot that is always filled to the brim and one would have to drive around a long time (and become frustrated in the process) to find a spot to park. That was when I remembered to request for a MBO for a parking spot. Honestly, I felt like Igor (a character in Winnie the Pooh) after requesting for a MBO for a parking spot; like oh, it’s not gonna happen, it’s not gonna happen. But then, lo and behold, a car in front of me had its reverse lights on and was pulling out! I was totally shocked and instantly became a believer! On top of that, it was my favorite parking spot in the entire parking lot (under a nice shade tree). I read your website everyday. I read at least one newsletter each day and read out loud the Living Prayer (my memory isn’t all that great so I have to read it) each day or night. I am so happy that you have a web site to provide all this information! Thank you and Aloha. Kate writes: This is just a small one, but you could add it when you tell people that it works to say MBOs with feeling. I have a CD player that always works for radio but only sometimes works for CDs. Just now I really needed it to work for CD to amuse a fussy baby, and it wasn’t working at all. Deborah writes on Facebook: Tom, I asked for MBO’s to put nice tenants on either side of me, as there is a woman in the neighborhood that doesn’t like cats…Well I went to the vet and was telling him about the situation because one of my cats was poisoned (he is okay now) and the vet tech said she had been having the worst trouble finding an apartment that takes animals; that the price and size are perfect for her and her brother–and the other side seems to be going to another woman. how wonderful is this? I also sent a love vibe down the street to the whole neighborhood and a sensitive said she saw pink flowing down the street..!!!!! Tamara writes: Yes. My 6-year old started first grade here in Mexico. Not all teachers here are equal. The first day they assigned the kids to classrooms. The entire time I was asking for a MBO that she get the woman teacher. The other teacher was a young guy who impressed me as being unsure of himself. I kept getting the feeling that we were going to get assigned to the man. I had an inner dialog about messing up my LOA by focusing on what I did not want but the idea kept asserting itself that she was going to be assigned to the male teacher. Then I revised my ask – the MBO, period. She was assigned to the man; he just left the school; a new, experienced, calm teacher came to replace him. All the kids my girl enjoys are in her classroom, the meanies are in the other. Thank you very much Universe. Rosalyn writes: An unfortunate situation had revealed itself. As I sat for four hours hearing my business partner betray me and our other partner. I released it to the universe with a simple MBO, and now the right direction to take revealed itself almost instantaneously. As a reward several new opportunities presented themselves. Each one better and more profitable than the previous arrangement. So thankful for the insight and clarity to know an MBO had to happen immediately. My reward was immediate. You can’t ask for more than that. Wish I had always had that connection to the universe. I pray I always will. Eileen writes: Well, the latest one was I asked that by some miracle my doctor’s appointment today was actually for next week. I called the office about another subject, and she told me my appointment IS for next week! Yay! I’m free to do what I had hoped to do with my day! I also, once again, asked for a safe trip to a restaurant an hour and a half away, a great parking place, and to be able to walk right in and get a great table. It all happened as asked, and that’s quite a feat to accomplish! Works nearly every time, and when it doesn’t, I know there’s a good reason! I always give heartfelt thanks afterward. I asked for a quick trip through the gas station to get gas, which is always backed up, and we were in and out in no time! Worked like a charm! Many thanks, Tom, for your work on our behalf! Preston writes: I wanted to share this with you and your reader’s; I hope it conveys an understanding to them that I got living through it. SPECIAL NOTES: If you are new to requesting Most Benevolent Outcomes (MBO’s) and asking for Benevolent Prayers (BP’s) for other people, you may also wish to SIGN UP FOR MY WEEKLY BLOG, which has nothing but GREAT MBO stories from all over the world. I typically post this one day after the newsletter goes out. And have you requested that I be your FRIEND ON FACEBOOK yet? Please do so. I do give extra information there. I also post on TWITTER. 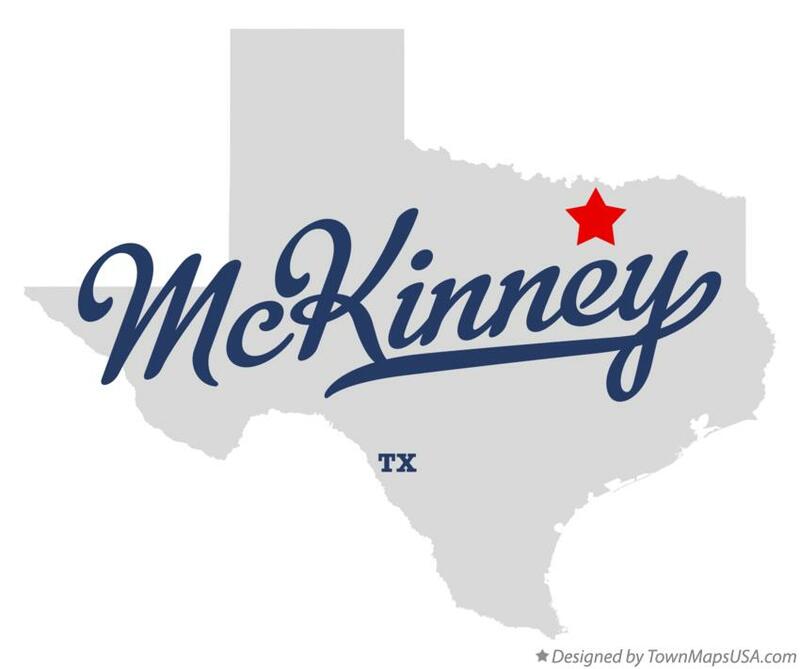 AUGUST 26, MCKINNEY, TEXAS, 1-5 PM. WORKSHOP. For full information and to register for the workshop go to: http://www.thegentlewaybook.com/appearance.htm.